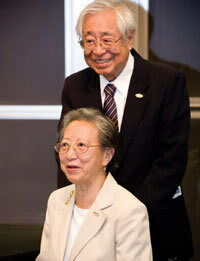 The Wu Lecture in Aerospace is given to honor and thank Caltech alumni Susan and James Wu for sponsoring the GALCIT Distinguished Professor Lecture series that began in 2010 and has had a significant impact on all who attended. Complex, nonlinear interactions between molecular processes (thermal transitions, chemical reactions) and gas dynamics are a hallmark of hypervelocity flight conditions such as those encountered by man-made or naturally occurring objects during planetary entry. This presentation discusses our recent work in hypervelocity flows where the response of the global flow features (such as shock configurations, and thermal and aerodynamic surface loading) are sensitive to the thermochemical state of the gas. These experiments are carried out in two impulse facilities at Caltech: the T5 free piston shock tunnel and the Hypervelocity Expansion Tube. Our diagnostic tools include direct spectroscopic measurements of naturally-occurring (post-shock) dissociated species and vibrational temperatures, overlaid with flow structure visualizations, to dissect the interplay between real gas effects and flow processes, as well as high speed imaging of the gas dynamic features. Using these tools, we examine the coupled interaction of energy exchange across a range of scales from macroscopic to molecular in high stagnation enthalpy, hypersonic flows. 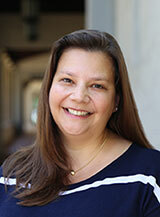 Joanna Austin is Professor of Aerospace in the Graduate Aerospace Laboratories at Caltech. She received her B.E. in Mechanical and Space Engineering and B.Sc. in Mathematics from the University of Queensland, Australia, and a M.S. in Aeronautics followed by a Ph.D. in Aeronautics in 2003 from Caltech. Austin then joined the Department of Aerospace Engineering faculty at the University of Illinois, becoming Associate Professor and Willett Faculty Scholar, before returning to Caltech in 2014, where she is a co-PI in the Caltech Hypersonics Group. Austin’s research is focused on fundamental problems in reactive, compressible flows across a broad range of applications including hypervelocity flight and planetary entry, supersonic combustion and detonation, bubble dynamics, and explosive geological events. Honors and awards include Associate Editor and Associate Fellow AIAA, Xerox Award for faculty research at Illinois, the NSF CAREER Award, Best Paper Award from AIAA Fluid Dynamics, and the Young Investigator Award AFOSR.